Its been a hot minute since I was able to do a new portfolio piece for my long-term personal project In This Twilight. What was even more fun was that I manage to do a few different angles of the set and toy to capture four different kinds of images for it. This was different than my usual standard of one per toy. 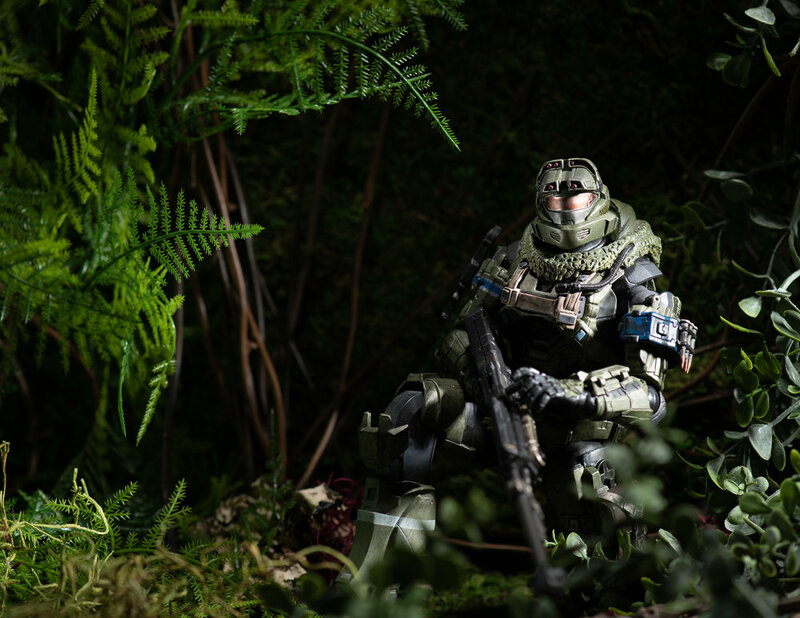 I also was reusing the Halo toy for this set. 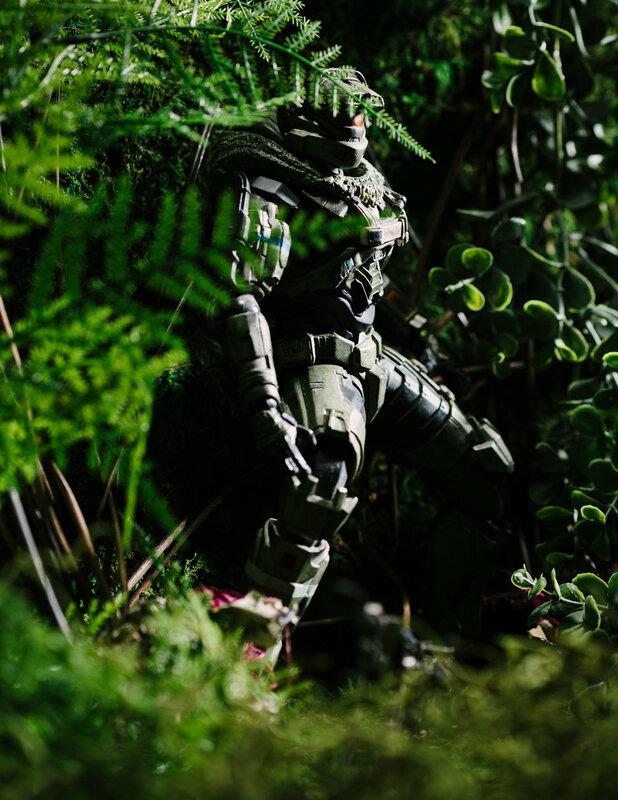 For this shoot, I wanted to aim for something that involved the camoflauge of the toy to have the character be lost in a forest ready to snipe someone. I know, I tend to enjoy making forest scenarios. So after building the set I wanted to give it one fill light from above and one key light on the character. But after looking around for the placement, I knew that I could do more with this toy since I could move the arms and legs, unlike the other anime statues that only give me one pose. So with that here are the four final images of the shoot.